Paris is one of the most visited cities in the world and famous for several sights and its unique romantic atmosphere. With 2.3 million inhabitants it is the capital and the cultural, political and economical center of France. The Eiffel Tower and the Louvre are just a few sights that Paris stands for. Due to its compact size, the best way to explore the city is on foot, so that you don’t miss the different districts and architectural jewelries. 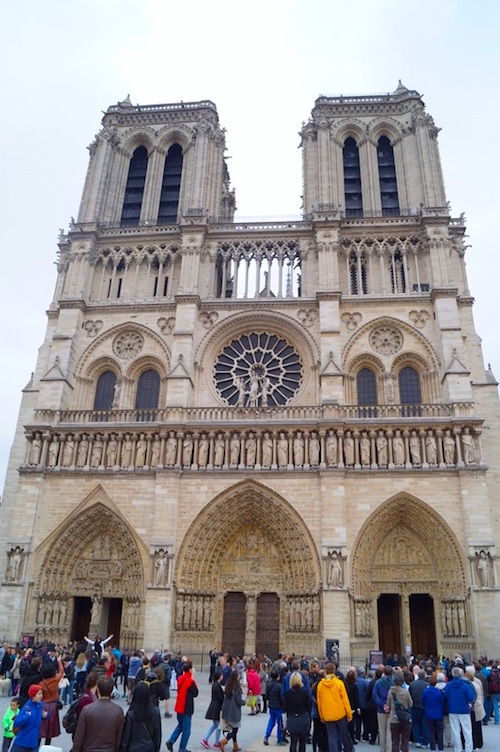 I recommend that you stay at least a few days in Paris, but it is also possible to visit a good amount of sights in one day. I made following itinerary that will guide you through the city in one day. 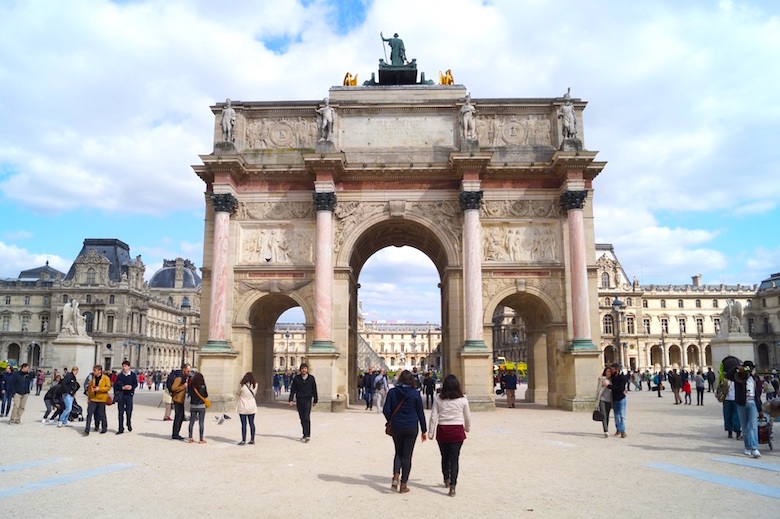 Start your journey in the 4th arrondissement, Le Marais district which is famous for its several galleries and trendy restaurants and shops. Visit the beautiful Place des Voges, the oldest planned square in Paris, and walk to the Place de la Bastille with its July Column in the center, which commemorates the events of the July Revolution in 1830. 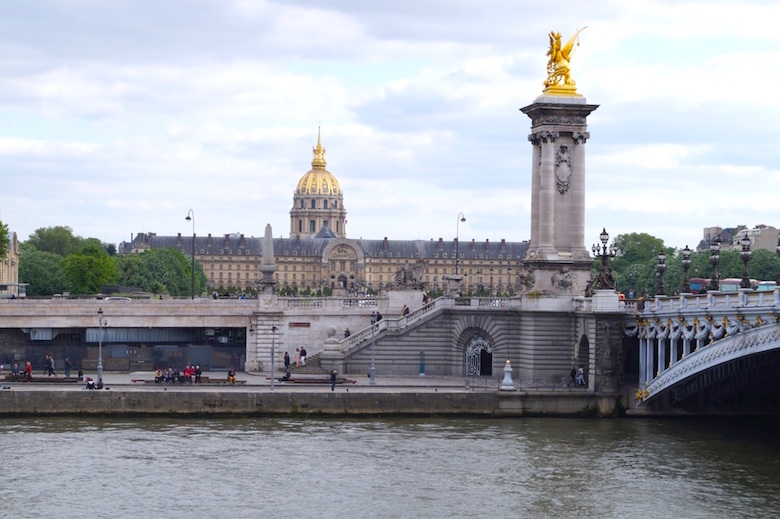 Walk over the Pont de Sully bridge to get to the Île Saint Louis and Île de la Cité, the two remaining natural islands in the Seine in the city of Paris. 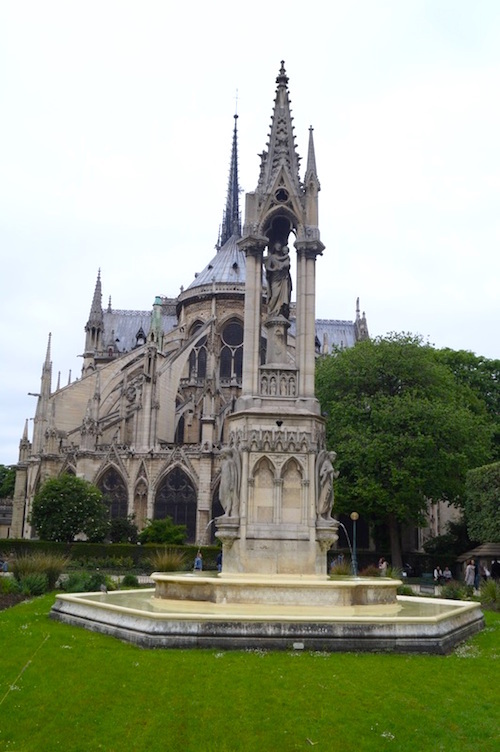 On Île de la Cité you will find one of Paris’ most famous landmarks, the Notre-Dame cathedral, a medieval Catholic cathedral completed by 1345. 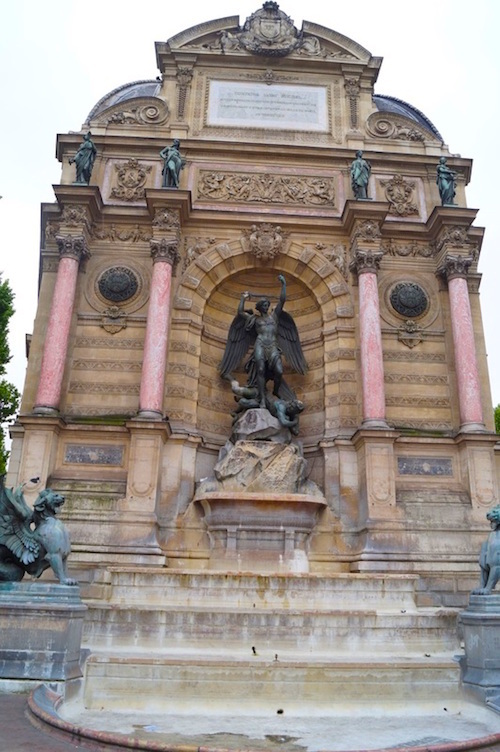 Start walking along the Seine till you see the monumental Fontaine Saint Michel, which was constructed from 1858 to 1860. Continue walking along the Seine till you reach one of the most famous bridges in Paris, the Pont des Arts. 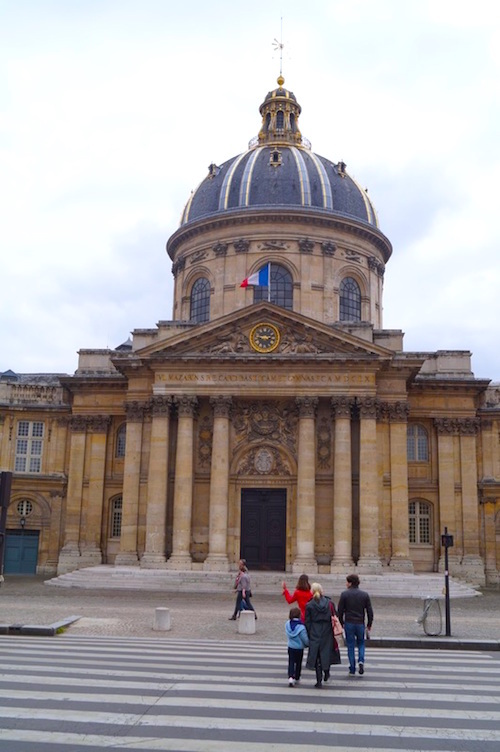 Just in front of the bridge you will see the Institut de France, a French learned society grouping five académies, the most famous of which is the Académie francaise. 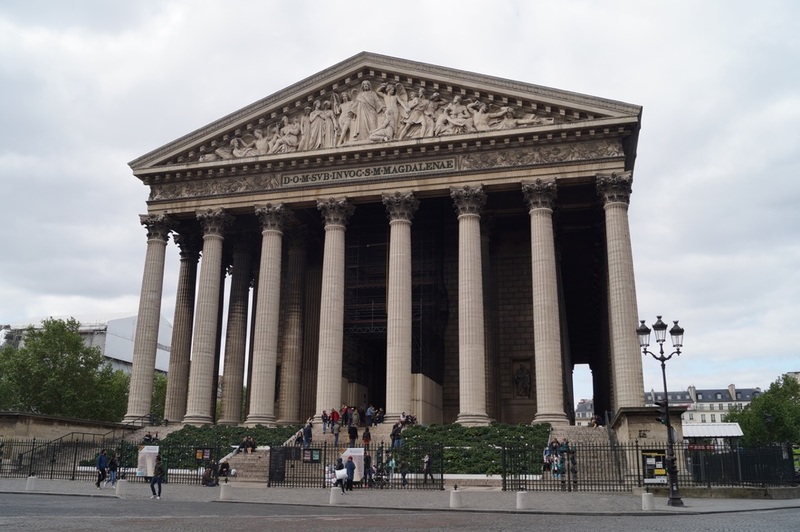 Next on the list is the world’s largest museum, the Louvre, where more than 380.000 objects from prehistory to the 21st century are exhibited. 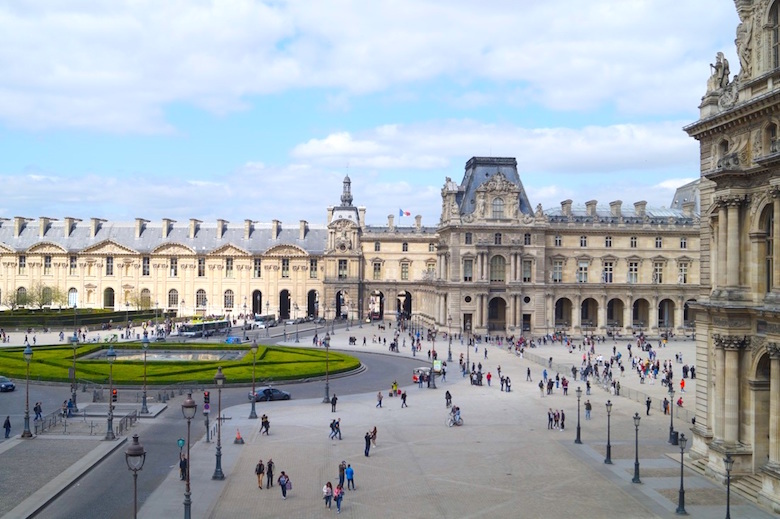 From outside you can admire the imposing Louvre palace with its glass pyramid in the center. As the museum can get really crowded I would recommend that you already buy your tickets online and that you come early in the morning or late in the afternoon to avoid the crowds. If you wanna visit all the different collections you need at least two to three hours. After you left the Louvre you can stroll around the magnificent Carrousel and Tuileries Gardens, which stretch around 22.4 hectares. Grab a bite or just sit and relax next to the large round basin where you will find several green chairs that you can use. Next to the Tuileries Garden is the Place de la Concorde, one of the major and the largest public squares in Paris. Turn right to have a look at the marvelous Église de la Madeleine, a Roman Catholic church, which was designed as a temple to the glory of Napoleon’s army. On your way to the church you can stop at Ladurée, a French luxury bakery, which is worldwide known for its double-decker macaron. 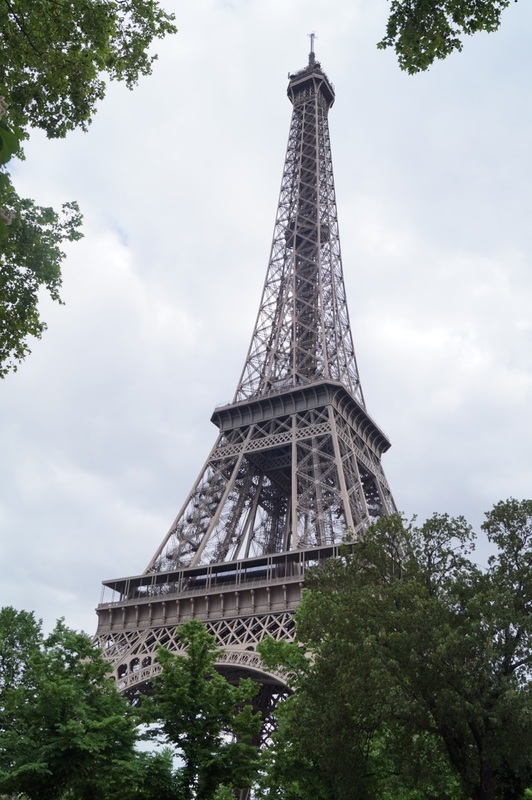 Walk back to the Seine where you will be able to see the most famous landmark of Paris, the Eiffel Tower. On your way to the Tower, cross the Pont Alexandre III bridge with its gilded sculptures, from where you can see the Hôtel des Invalides, a complex of buildings containing museums and monuments all relating to the military history of France as well as a hospital and retirement home for war veterans. The Eiffel Tower was designed and built by Gustav Eiffel in 1889 for 1889 World’s Fair and is the most famous landmark in Paris. With its three levels, it is the most visited paid-monument in the world. 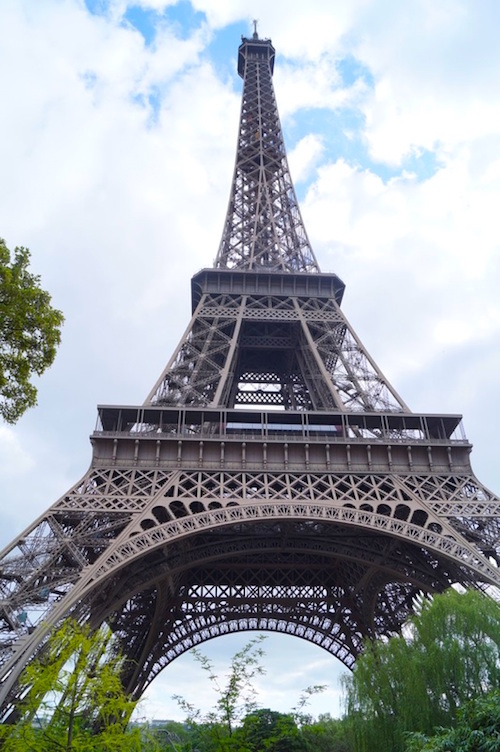 If you are patient you can try going up the tower, from where you have an amazing view over Paris. If you wanna see more districts and sights of Paris I would recommend just seeing it from the ground and continuing your sightseeing tour. 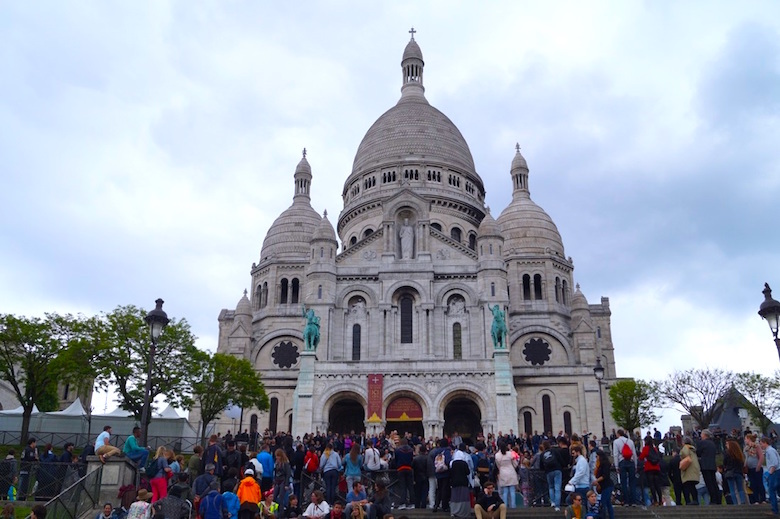 Take the metro to the station Anvers and start visiting the Montmartre district, which is famous for its artists, its bars and restaurants, and the Sacré-Coeur Basilica. This Roman Catholic church which was completed in 1914 is accessible via the steps, the bus or the funicular car. When you reach the Basilica you have an amazing view of Paris. 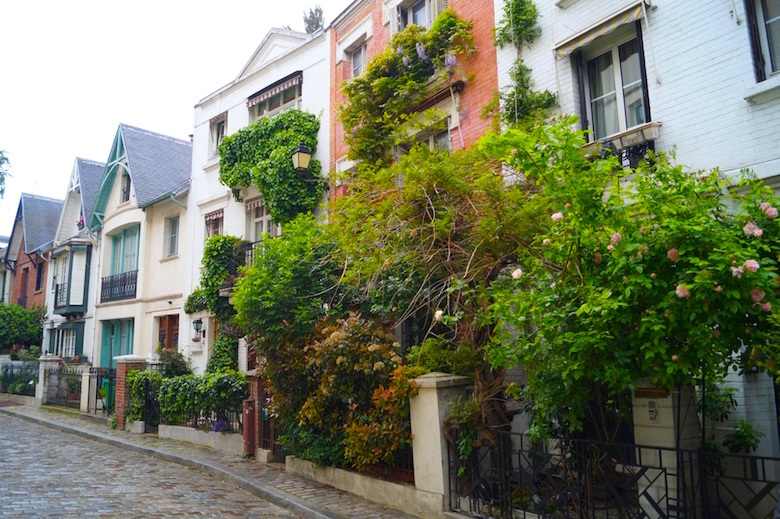 Close to the Basilica you will find Montmartre’s most famous square and the center of the district, the Place du Tertre. On the other side of the hill you will find some nice wineyards, the windmill Moulin de Gallette and the Place Dalida. Dalida is the most popular and best selling singer in the French-speaking world and live in Montmartre before she died, that’s why the Place Dalida was built in this district. Not far from the Place Dalida you can enter the Montmartre Cemetery where you can find the graves of several famous artists including the one of Dalida. 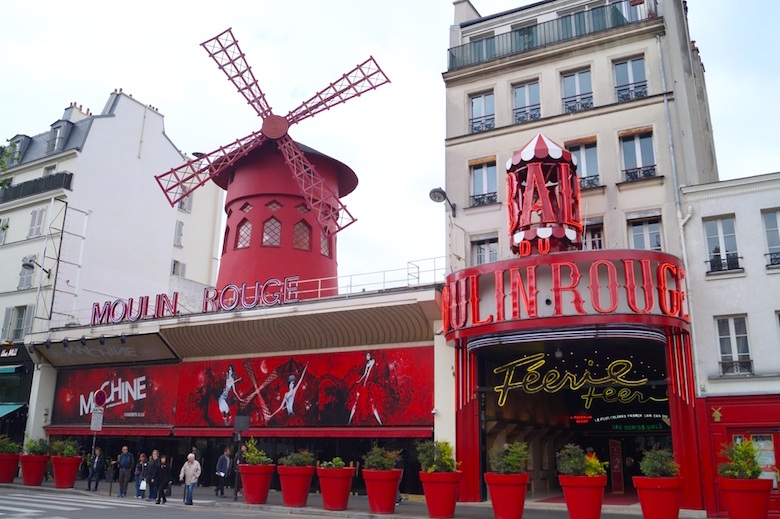 After the visit of the cemetery you can walk to the Boulevard Clichy where you will find the last sight of this itinerary, the mythical Moulin Rouge, which offers musical dance entertainment for visitors from around the world.